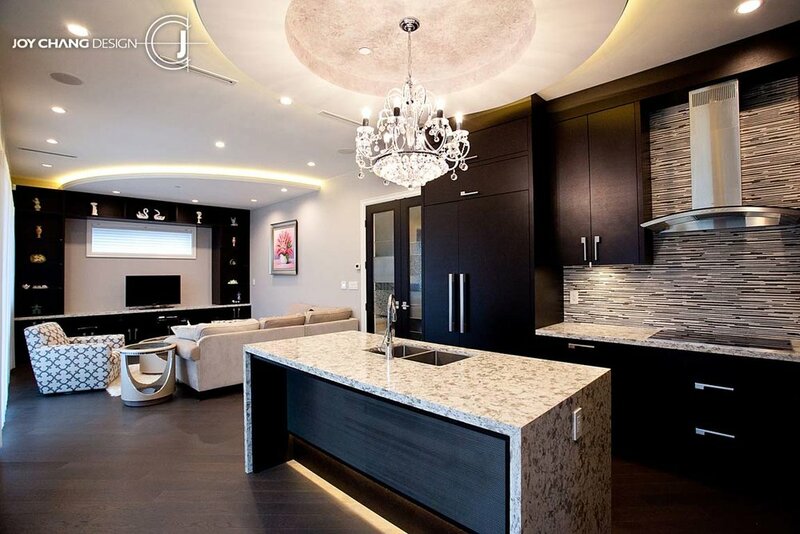 W 21st Ave. Project-L — Joy Chang Design Inc. The feature wall with special double-glazed glass sandwiching the led lighting domineeringly divides the home theatre and recreation room. The countertop and backsplash using the same material but with different texture are fancy but in order. The elegant tiles in the bathroom coordinate and soften the relationship of spaces.